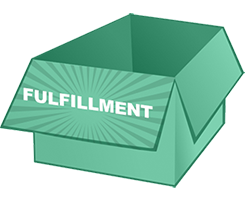 Our experienced fulfillment team can manage any distribution project that is needed – from custom and complex packaging arrangements to providing real-time tracking information on a 500+ split shipment, we do all the hard work so you don’t have to. Our fulfillment services are based out of Chatsworth in the San Fernando Valley, but are used by companies with fulfillment needs in the greater Los Angeles area and beyond, including coast-to-coast domestic shipments, as well as international. Find out more about our centralized ordering systems and customized portals here! Sound familiar? Not sure if we have what it takes? Give us a call, or send us your information and we will assess YOUR needs! You'll be glad you called, we promise!